Lumineers are Cerinate porcelain veneers for smile improvement that are incredibly strong and long-lasting, yet incredibly thin. Because they are so thin, these porcelain veneers may be directly bonded onto your teeth with less preparation of tooth surfaces, more comfortable installation and reversible results. West Hollywood Lumineers dentist Dr. Bruce Vafa can help you decide if Lumineers are the right choice for your most beautiful smile. Most dental veneers are about half a millimeter thick. But Lumineers are often half that measurement, sitting nicely on your tooth surface like a contact lens does in the eye. Lumineers are loved for their comfort, both during wear and in the placement process. The cosmetic dentist may not even need to use local anesthetic injections or drilling for our Lumineers smile makeover. Results are beautiful, comfortable and restorative for your smile, helping you to feel and look younger. Who can Lumineers benefit most? Lumineers porcelain veneers are best suited for adults with discolored, chipped, broken or otherwise flawed teeth. Unusually small teeth or those with minor flaws may benefit, as well. To find out if these porcelain veneers are the right choice for your most vibrant smile, the West Hollywood cosmetic and implant dentist, Dr. Vafa, can provide you with a Lumineers evaluation. Dr. Vafa can adjust the Lumineers' size, color, shape and other features to best suit your facial appearance and smile goals. 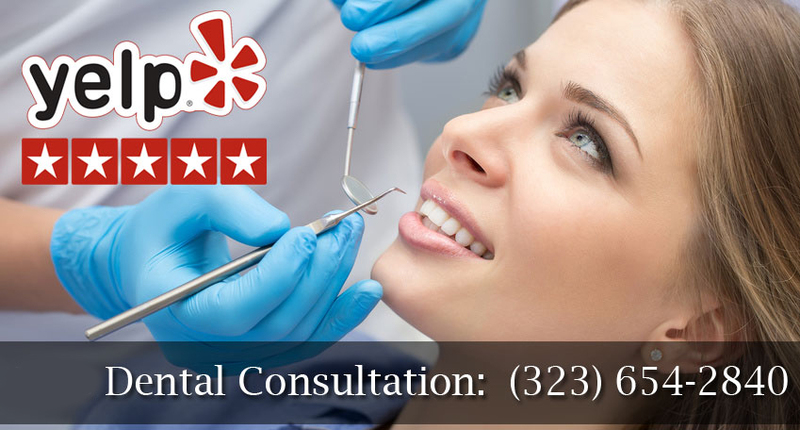 He will use your in-person evaluation appointment, impressions and images to have your veneers custom crafted. In only about two dental appointments, you can have the bright new smile you have been wanting. Once Lumineers are bonded onto your teeth, they can last 20 years or more. To take care of your Lumineers, you only need to do what you normally do to care for your natural teeth. You continue best practices of dental hygiene and see your dentist regularly for checkups. You may need to wear a mouth guard if you grind your teeth at night or play contact sports. Lumineers provide a smile makeover like other porcelain veneers. But Lumineers have proprietary technology and more than 30 years of science built into them. These veneers are designed for comfort, durability and ease of your West Hollywood dentist's installation. Lumineers are digitally crafted. They are about as thin as a contact lens and sit seamlessly on your teeth to help your smile appear natural and youthful. Most veneers are thicker than Lumineers and involve more tooth surface to be removed for placement. This makes other veneers permanent and irreversible. These types of veneers also usually require patient anesthesia for pain reduction during installation. Patients also generally have to wear temporary veneers for about two weeks while their permanent ones are made. Because Lumineers are minimally invasive, you may not have to wear temporary veneers. When you do not have a confident smile, you spend a great deal of energy trying not to smile, or hiding your teeth when you laugh. Lumineers can solve many of the tooth problems that keep you from smiling. Dr. Bruce Vafa, a Certified Lumineers Dentist, can determine whether veneers are right for you as part of a smile makeover. Most people suffer at least some staining and discoloration of their teeth, particularly as they age. Teeth whitening is one method of getting rid of these color problems. But for many people, whitening does not get rid of all of the stains. It also does not last very long, particularly if you drink coffee, tea, wine, soda or such beverages daily. Lumineers can provide permanent whiteness for your smile without having to go through regular teeth whitening. Anyone can chip a tooth. This is a common outcome of high contact sports, a fall, or even eating certain foods. The problem with chipping a tooth is that it can distract people from seeing a complete, attractive smile. Lumineers can permanently fix that chipped tooth and make your smile visually magnetic. A gap in your front teeth may be a source of embarrassment for you. If you cannot smile confidently because of a gap or other spacing issues, Lumineers can fix these issues non-invasively, quickly and in only about two dental office visits. The ultra-thin profile of Lumineers makes them work well for elimination of gaps or space while not damaging your natural teeth. As an alternative to braces, Lumineers can align your teeth perfectly and give you the straight, beautiful smile you want. Many adults do not want to go through the wear of braces, particularly due to the social issues caused by wearing them. In only two visits with West Hollywood Holistic and Cosmetic Dental Care, you may be able to have a straight Lumineers smile. Misshapened teeth are distracting and may erode your self-confidence. If you have hesitated to have traditional veneers installed on your teeth because of the grinding down of natural teeth those require, Lumineers are a great alternative. Your original teeth will not have to be so drastically changed for placement of Lumineers, in most cases. In only a few office visits you can have perfectly sized and shaped teeth for your best smile. If you have had dental work in the past few decades, you may still have old fashioned devices, crowns or bridgework. These are visible when you smile and can age you. For a younger, fresher, more vibrant smile and to take years off your current look, Lumineers can be placed right on top of many old styles of dental work. If your smile does not "pop" enough and is not as vibrant as you want, you can have your best smile with Lumineers. Dr. Vafa can show you how much your image can be improved, to bring out your inner celebrity through a million-dollar smile. To find out if Lumineers will work for you, set up an evaluation appointment with holistic dentist Dr. Bruce Vafa at West Hollywood Holistic and Cosmetic Dental Care.